All Saints is a high achieving school that specialises in Languages and Performing Arts. We provide students with the opportunity to study one language in Year 7, two languages in Years 8 and 9, and one or two at GCSE level and beyond. In addition to the traditionally offered languages of French, German and Spanish. In addition, we have also had students completing GCSEs in Russian, Mandarin, Italian, Polish, Portuguese and Latin. Many of our students choose Performing Arts courses at GCSE and A level. We believe that encouraging students to present themselves confidently in public is an important skill in the outside world. Our Performing Arts courses provide students talented in music, drama and dance the opportunity to develop their skills with professionals in a wide variety of public performances, both in school and in the wider community. We have strong links throughout the year with our Catholic feeder primary schools in York and North Yorkshire. Students from these schools make up the majority of our Year 7 intake each September. Some of our students live in villages and towns within a twenty five mile radius of our school. 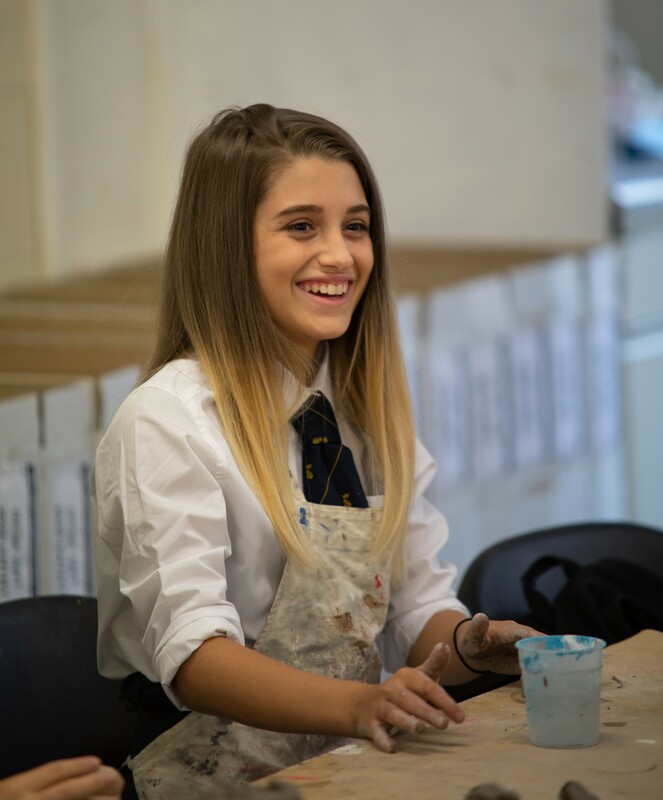 Most children starting in Year 7 are visited by staff from All Saints to ensure they feel happy, secure and welcome on starting secondary school in September. Children in outlying areas non-feeder schools have the opportunity to attend All Saints with their parents on a Saturday morning during the summer term. Here they are able to meet other students and develop friendships with children in similar situations before starting at All Saints. At the beginning of Year 7, a special Mass and social evening is organised to welcome pupils and their families to the school community. During the course of the academic year Parents’ Evenings are held in school where parents can discuss their child’s progress. 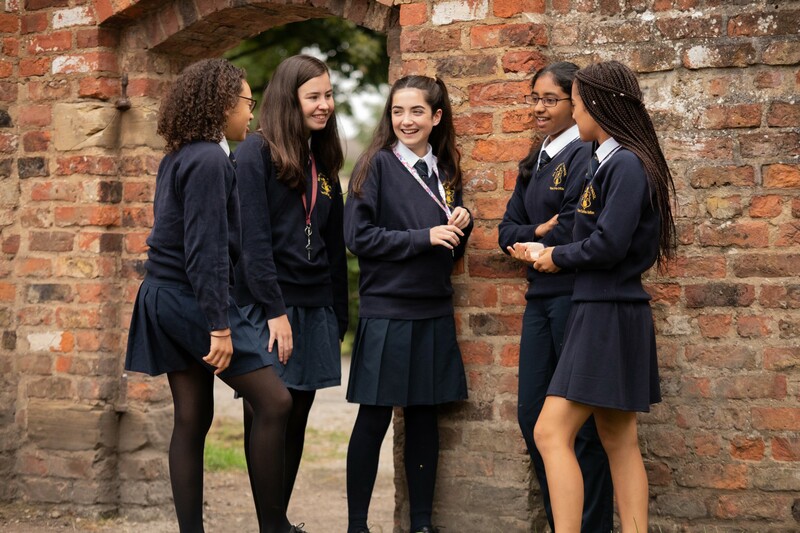 To aid a smooth transfer to the upper site and prior to the start of Year 10, pupils and parents are offered staff consultations and guidance as well as the opportunity to attend a Subject Choices Evening. Those who did start a GCSE course in Year 9 will continue the course in Year 10. In addition to the core subjects of Religious Education, English, Maths, Science, a Modern Foreign Language and PHSCE, students have chosen to study further GCSE subjects. These include Art, Business Studies, Child Development, Dance, Drama, Engineering, Food Technology, French, Geography, German, Graphics, Health and Social Care, History, ICT, Music, PE, Resistant Materials, Spanish and Textiles. Year on year, All Saints students attain outstanding GCSE results, with the majority achieving at least 5 GCSE grades A*-C including English and Maths.